Pinching out your Flowering Plants. 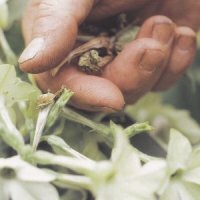 Pinching-out or trimming can help your flowering plants keep their shape. It will also cause the plant to be bushier which, often, means more blooms. 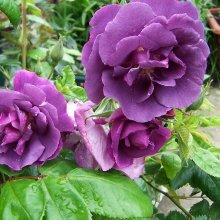 It is best to cut the stem just above a set of leaves or new buds. Otherwise, it will take a while for your plant to grow back. The point of pinching is just taking a "pinch", not a severe cutting back of the plant. You can snip the ends with garden shears or use your fingers. Pinching is best done in the early morning before stems start to wilt in the afternoon heat. Pinching does not work on single stemmed plants, It only works on bush plants. Be sure to stop pinching before the bloom season of the plant, or you could cut off buds before they get started.